As the Beatles whiled away the summer of 1968 recording The White Album, they briefly interrupted the proceedings to record their landmark single “Hey Jude” b/w “Revolution.” When it was released in August, the single was a watershed moment in many respects. In addition to being the first 45-RPM release by Apple Records — with its familiar Granny Smith logo — the single’s A-side clocked in at more than seven minutes in length, exploding the dimensions of the conventional pop song in the process. The next evening, producer George Martin recorded a 40-piece orchestra to accompany the song’s lengthy coda. Legend has it that a member of the orchestra left the session in a huff, stating that “I’m not going to clap my hands and sing Paul McCartney’s bloody song!” But it didn’t matter in the slightest to the Beatles, who were pleased with the relative alacrity of their creative pace in comparison with The White Album sessions. 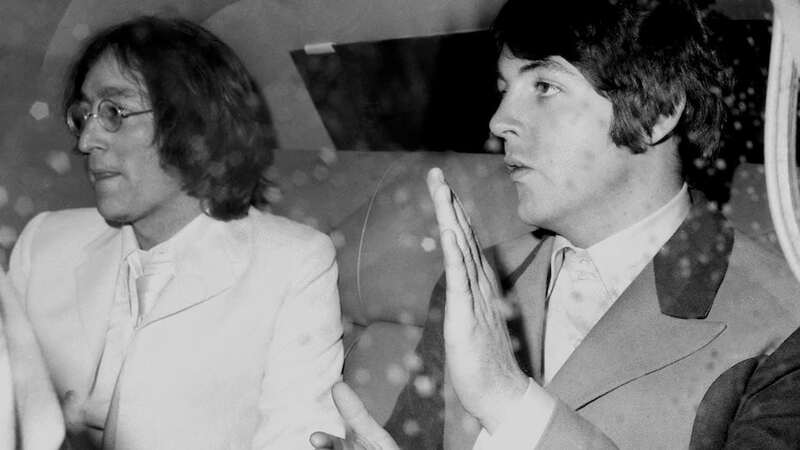 By the next day, August 2nd, “Hey Jude” was finished, with the Beatles receiving their customary acetate copies in advance of the single’s release. The result was another Beatles masterwork, especially in terms of the bandmates’ unparalleled harmonies. Paul’s vocal performance on “Hey Jude” gestures towards the sublime. Rich and buoyant, his voice has rarely sounded better. Lennon’s and George Harrison’s harmony vocals are equally superb — particularly John’s doubling of Paul’s lead vocal during the final verse. The composition’s lyrics are made manifest by its music, which slowly builds from a solitary voice and explodes, finally, with the joyful sounds of Jude rejoining the wider world from whence he had lost his way. As if to illustrate the character’s triumph, the track’s terraced effect offers a study in musical subtlety and finesse. Beginning with voice and piano, the song accrues a gentle layer of acoustic guitar and tambourine before appending harmony vocals, drums, and bass to the mix. Eventually, an electric guitar emerges during the first pass at the “on–na-na” interlude that telegraphs the coda, where Martin’s orchestra provides the firmament for the euphoric sing-along. Not surprisingly, “Hey Jude” is rife with emotional flashpoints that can’t help but draw us into the narrator’s predicament. Lost in his own isolation at the beginning of the song, Jude, like the vocalist, is no longer alone. He’s a man of a thousand voices, like the Fool on the Hill, and, with a little goodwill and encouragement — not to mention a healthy dose of self-confidence — he’ll soon be talking perfectly loud. The song’s fadeout performs an essential role in demonstrating the character’s movement from isolation to reinvigoration — but only to a point. By intentionally deferring the long-term consequences of Jude’s interpersonal shift — by eschewing an absolute sense of an ending in “Hey Jude” — the Beatles remind us of life’s inevitable uncertainties and contingencies. Jude has taken a sad song and made it better alright, but his future — like our own — remains appropriately blurry and indistinct. I seem to recall that George Harrison had something to do with creating the coda. It’s interesting that a video of the group rehearsing Jude has Mr. H in the control room with fellow George, not playing with the Fabs. Any insights? You’re a year too early. Hey Jude was created in 1968 and the caught on film snit was 1969.